For those who have never heard this, the medical name for the flu originates from an Italian phrase, which reads “influenza di freddo” or “the influence of the cold.” The flu distinguishes itself from common colds, which usually develop slowly while the flu affects individuals very suddenly. 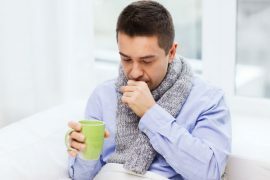 The common illness is the result of a virus that affects an individual’s upper respiratory tract, with the symptoms including headache, fever, a runny or blocked nose, sneezing, and pains and aches throughout the body. According to some estimates, the flu is the culprit for maybe 40 percent of missed workdays in adults, with typical bouts usually clearing up in about one week. Manuka honey and spices: Coming out of New Zealand via the Manuka bush, Manuka honey has sometimes been used for upper respiratory infections, such as rhinitis, allergic symptoms, and chronic sinusitis, due to its alleged prebiotic, anti-oxidant, antibacterial, and anti-inflammatory properties. Kahdha: This old-school herbal recipe for common colds and coughs is a blend of spices, including cloves, cinnamon, ginger, black pepper, basil, and desi ghee. Manuka honey with black pepper: Known for drying and healing effects, black pepper stimulates circulation while also warming the body, especially feet and hands, dispelling toxins, and improving sinus congestion. Along with Manuka honey, black pepper can be added into tea as well. Manuka honey with lemon: As is often said about Manuka honey, lemon has antibacterial and antiviral properties, making it perfect for stopping infections from progressing. Lemon can also apparently strengthen an individual’s immune system while also helping to relieve flu and cold symptoms. Ghee and turmeric in milk: Turmeric is said to possess the ability to help the immune system and is also known for having antibacterial, anti-fungal, and antiviral properties. Garlic: Beyond being a prevalent ingredient for many cuisines, garlic is also known for therapeutic benefits, given it’s loaded with dozens of active chemical compounds. Garlic has become known for its anti-inflammatory, antibiotic, anti-fungal, anti-hypertensive, anti-oxidant, antiviral, and cholesterol-reducing properties. A few garlic therapies people have tried alongside traditional medical interventions include boiled garlic for asthma and mashed garlic with vinegar and gargled for tonsillitis. Whether it’s garlic, turmeric, or Manuka honey, make sure to try more than one avenue for what ails you, starting with the route your physician recommends first. Need to order some Manuka honey? To get your order started, click here. And, remember, we offer FREE shipping on all orders of $150 or more.